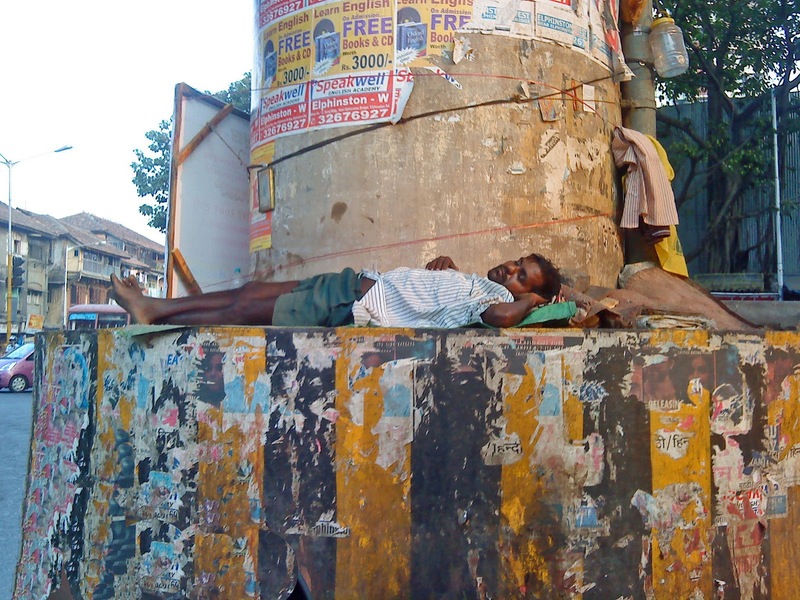 Here are some photos showing homelessness in India. Poverty and India are two words which are synonymous for foreigners. 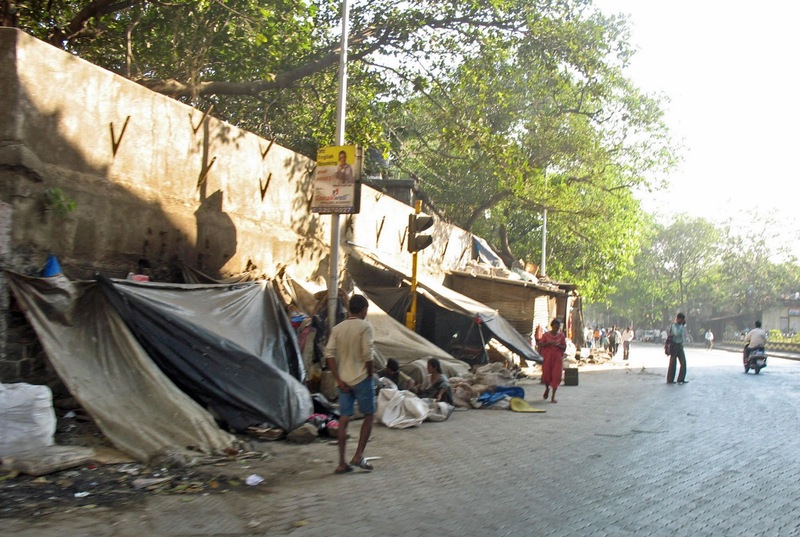 While it is true that many Indians are poor, most of them do have a roof above their heads, even if it is a thin tin one. However a certain percentage of the population doesn't even have a tarpaulin over their heads. They are totally homeless and helpless, and often land in this situation as they have left their villages (where they are starving) to try and make ends meet in the city. Accommodation here is beyond their means. While homelessness is prevalent in all countries of the world, it is more acute in countries like India. The first photograph is of a poignant image of a toddler playing on the pavement with a baby fast asleep next to her. 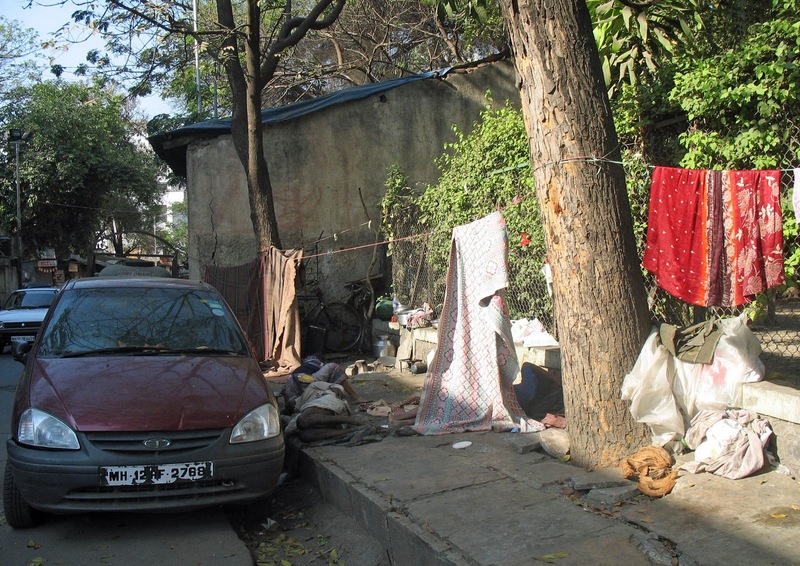 Household belongings are strewn around and a pole and the wall are used as wardrobes. A dog sleeps next to the playing child. 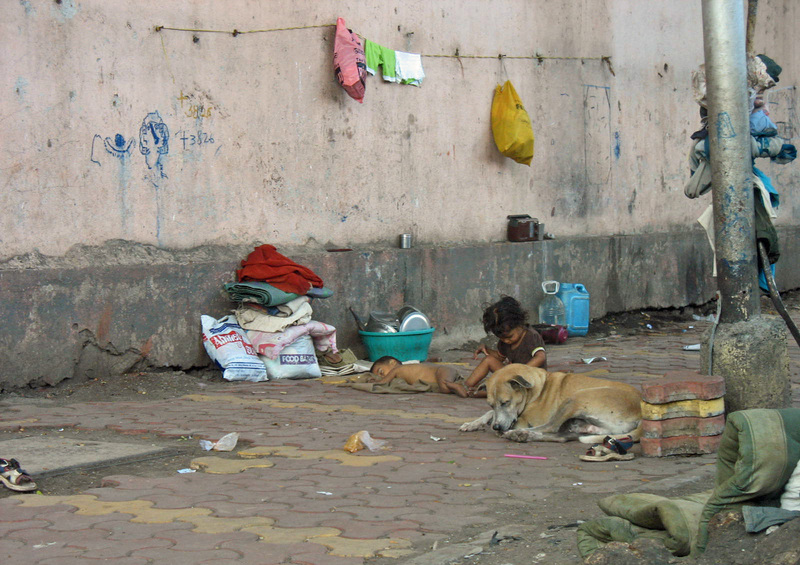 Homeless people often keep stray dogs as pets. The photograph below is of tents put up on the pavement on a busy highway in Mumbai. 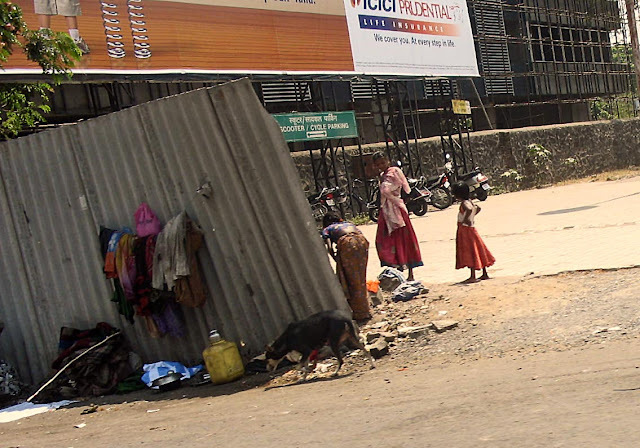 Two women and a girl in their makeshift home on the road. Their clothes are hung in public view. It's amazing how we pass by the homeless and not blink an eye. 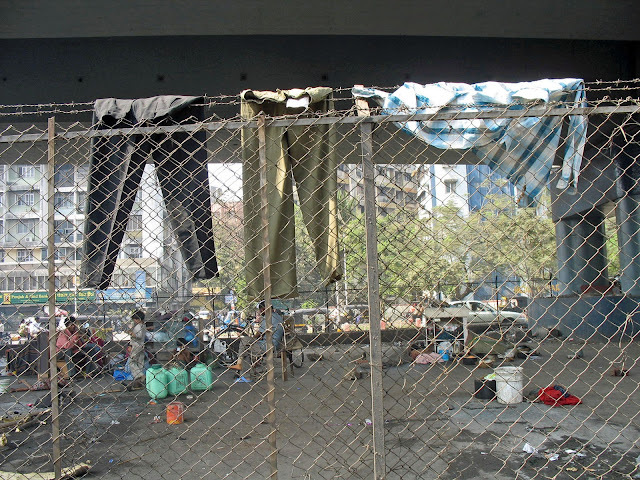 The second picture is taken in Thane, a city near Mumbai, under a flyover. This last image is taken in Pune city and has migrants from the villages who have come to eke out a living. Most of the images above were shot in Mumbai and Pune. Related Images: Check out another post on Slums in India - Aerial View which has images of slums in Mumbai, in Dharavi and Andheri.